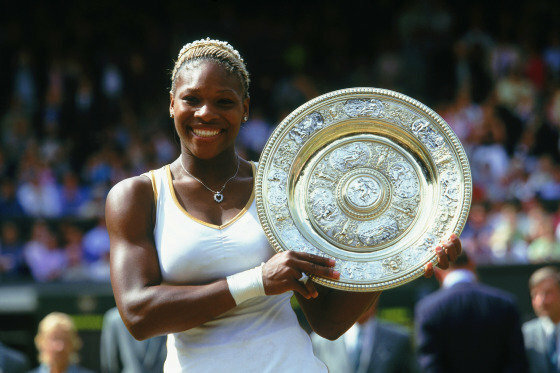 Wimbledon is one of the most prestigious grand slams in the world and honestly one of my favorite tennis tournaments ever. It’s definitely a bucket list item for many of us. This tournament has some of the best athletes in the world with Serena Williams, Novak Djokovic, Andy Murray and Roger Federer. 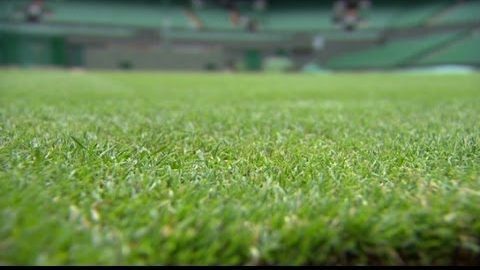 We know that great tennis….no make that AMAZING tennis, is played on these grass courts, year after year, no question. And as the finals approach this weekend we just had to tell you why this grand slam is pretty much the best thing since…well, strawberries and cream. Wimbledon ‘tis the oldest tennis tournament in the world. It began back in 1877 at the All England Club in London making it 137 years old. 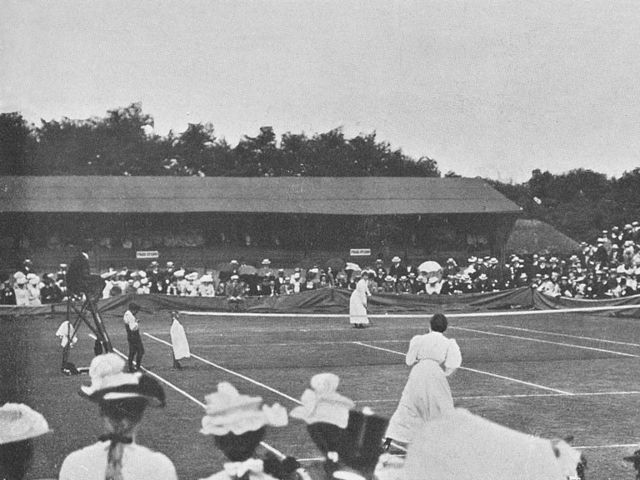 Men’s singles competition was the only event played that year. They added Ladies’ singles in 1884. The grass is very special. 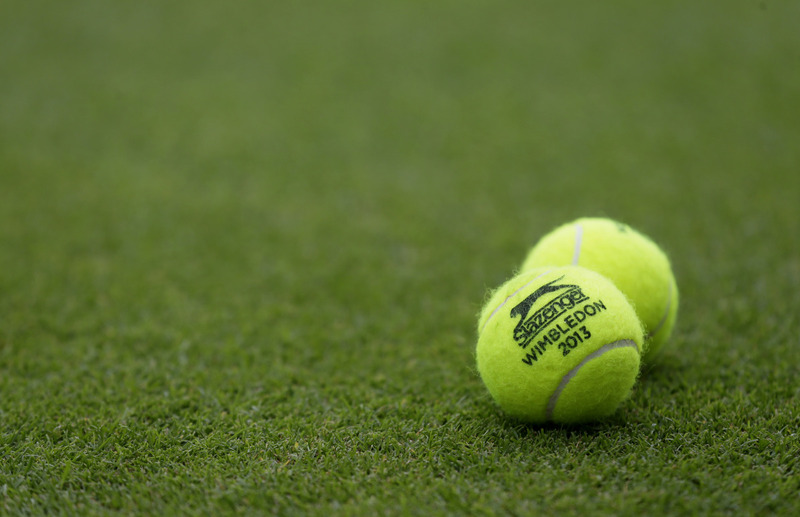 It’s the only tournament played on a grassy surface, the sports original surface, hence the name lawn tennis. The grass is kept in tip-top shape, tended to year round and trimmed to 8mm high. There’s still time to get tickets, so get your passport ready. You just have to join the queue. Wimbledon remains one of the very few major sporting events where you have a chance to buy reasonably priced tickets for Centre Court, Court 1 and Court 2 on the day of play. There is one queue for the on-day sale of tickets and they are sold strictly on the basis of one per person. Or you can try your luck with ticketmaster, they release hundreds of Centre Court and Court 3 tickets at 9am the day before play. Good luck! Speaking of Queues, there are a lot of them. If you decide you want to join the ranks and watch premium tennis you’ll be very well versed in the English queuing system once you get there. There are queues for the courts, queues for the strawberries and Pimm’s, then you’ll probably need to stand in the queue for the Loo. The queues are everywhere. 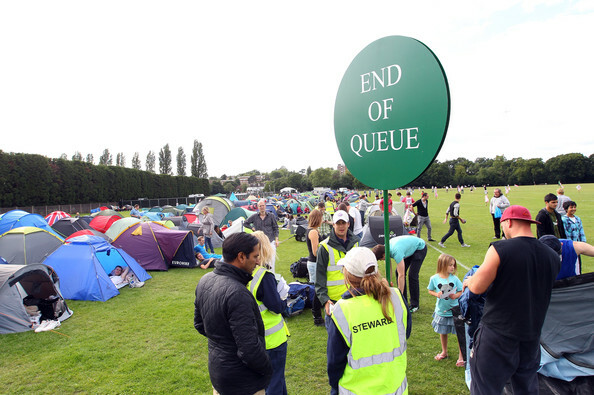 Wimbledon even has queue monitors that will give you a “queuing card” if you are standing in the queue to purchase tickets. It will save your spot so you can run and get a few refreshments but make sure you’re back by 10pm. That’s when they start selling tickets. You can BYOB. Seriously this is a thing. 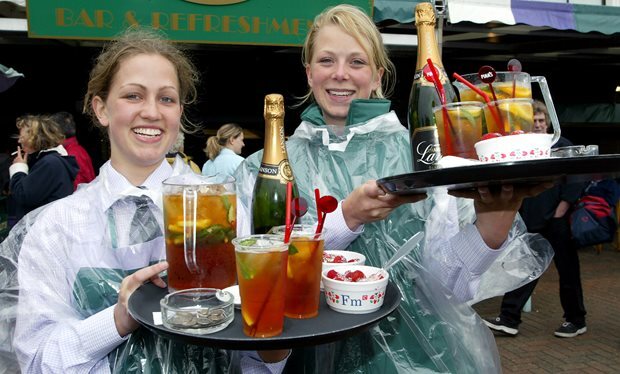 At one of the most prestigious tennis tournaments around, you are allowed bring your own booze into the grounds. BUT it is limited to one bottle of wine or Champagne or two cans of beer per person. And you must drink your alcohol in designated areas. But you don’t have to sneak it in, so that’s a plus! 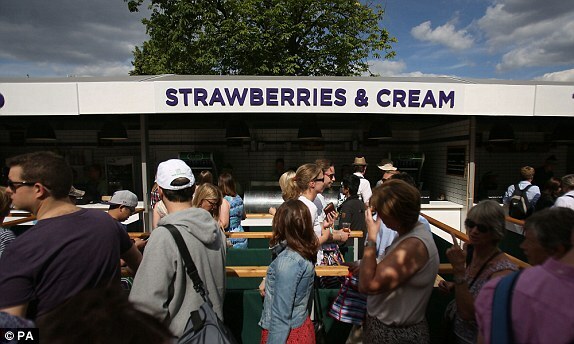 You have to try the strawberries and cream. Yeah sure they are probably overpriced, but it’s one of the longest standing Wimbledon traditions and nothing more English. 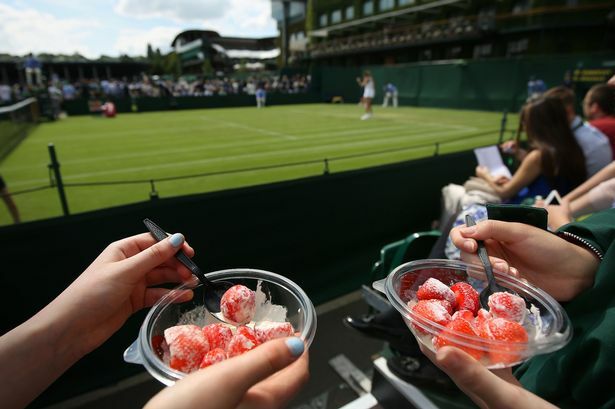 So grab your best mate and try one of the 9,000 servings of strawberries and cream and top it off with one of the 235,000 glasses of Pimm’s at Wimbledon. Cheerio! 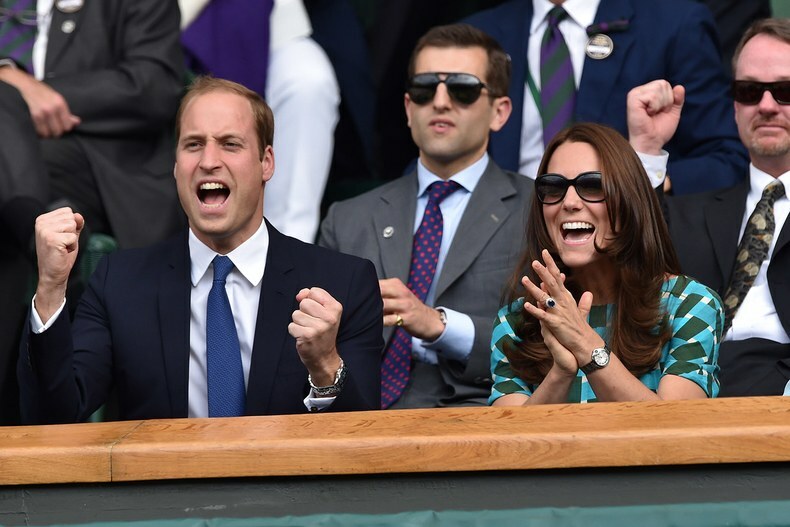 This is the only grand slam tournament that is attended by a Royal Family. The Royal Family sits in the Royal Box but don’t be too keen on getting close to Kate and Wills, or the Queen for that matter. The “regular” folk have to sit in the cheap seats, but Wimbledon is still a great event to spot A-list celebrities. Think Bradley Cooper (he’s a big Fed fan), David Beckham, Ellie Goulding, Sienna Miller and Anna Wintour. They are just a few of the celebs that have attended this year’s tournament. 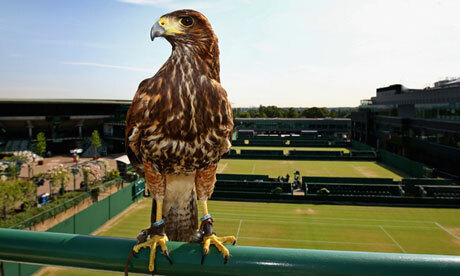 Wimbledon has Rufus the Hawk. Pigeons can sometimes be a nuisance, but not at Wimbledon. The All-England Club “employs” a specially trained hawk named Rufus, that flies over the grounds every so often to keep them pigeon free. The tennis balls at Wimbledon used to be white. Yep, now they are yellow. Why you ask? Well, since the first Championship was televised back in 1937 the traditional white balls were used. They were replaced in 1986 by the iconic yellow versions to make them more visible on TV. And speaking of balls, over 54,000 tennis balls are used during the tournament and they are stored at a cool 68 degrees to maintain maximum bounce-ability. Wimbledon doesn’t have any sponsor advertising around its courts. All-England Club Chairman, Philip Brook said it best in Newsweek. “We are successful precisely because we don’t have signage on the Centre Court. It enhances the uniqueness of the tournament and attracts the kind of partners like Rolex who share our vision and are content to have just one small sign on their Centre Court clock. Slazenger have been with us since 1902, [it is] the longest sponsorship partnership in sport. We promote and protect the Wimbledon brand, and our logo is the only thing we want people to see.” And to add to that, Wimbledon brings in over $60 million in just two weeks to the club. Not too shabby. The longest tennis match ever played lasted 3 days. 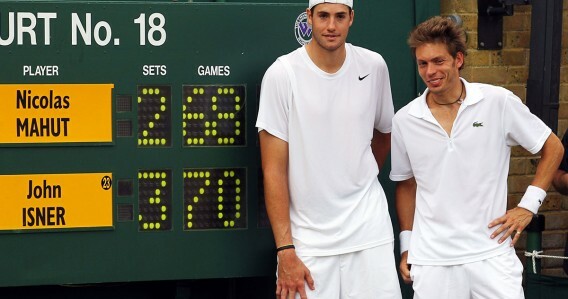 In 2010, a first round match between John Isner and Nicolas Mahut lasted 11 hours and 5 minutes, earning it a world record for the longest tennis match ever. John Isner eventually won the match with a final score of 70-68. The winner’s get a nice cash prize but they don’t get to keep the trophy. Bummer, right? Not really. Both the men’s and women’s singles winner will pocket just about $2.7 million. And in addition to the cash, the women champ gets a silver gilt salver made in 1864 and the men receive a silver gilt cup made in 1887. However, their lovely trophies will be displayed at the Wimbledon Museum for most of the year. They will get a smaller replica to take home, so thank goodness for that.